As the sun slowly starts to peak out from behind those gray Pacific Northwest clouds, people every where start to feel the need to do a very thorough cleaning of their homes. Spring cleaning is a cathartic way to get organized for spring and summer. 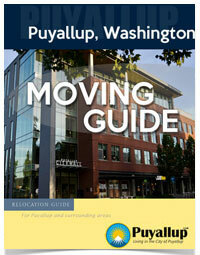 While there are some Puyallup residents moving and they need to clean as well. There is nothing more satisfying than clearing the clutter and deep cleaning all aspects of your home. There are actual proven psychological benefits to spring cleaning. Clearing the clutter from your life can make most people more productive and can lead to a sense of happiness. Getting rid of items that you don’t need or use leads to less stress in your life and help to alleviate anxiety. Also donating your gently used or unworn items to a donation center or giving them away to a shelter will also help others in need. 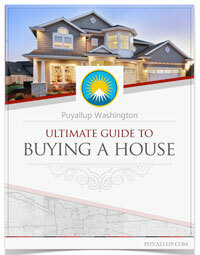 Deep cleaning your Puyallup home or will help bring a sense of peace and Zen to you and your surroundings. The best way to get started is to tackle clutter in your home. Time to get rid of the old, used, and broken to get started on the process. We have all seen hoarders on TV and know that there is a point of no return. So before you get to that point, time to get the clutter out the door. The best place to start is both you and your family’s closets. Dump the trendy items and stick to keeping the classic items. Certain clothing items like a sleek suit, tailored button down shirts, and dark denim are examples of clothing items that will always be in style. For your children, the most obvious answer to get rid of the clothes that they have outgrown. Speaking of children, some people begin to feel swallowed whole by the amount of toys that begin to consume their home. Pack up those used and outgrown toys and donate them to a shelter or a hospital. Save the toys that you feel hold some nostalgic value for your child but get rid of the toys that just aren’t being played with anymore. Same goes for the old electronics around the house. You can donate outdated computers and phones but make sure that they still work first. Starting with the clutter is the first step towards spring cleaning. Once you have gotten rid of the excess clutter, it is time to focus on deep cleaning your carpets, rugs and floors. Your carpet and rugs take a huge beating during the year from all the traffic and even if you vacuum every day, stains are bound to stick around. The best way to tackle your carpets and rugs is to buy some EZ Moves permanent furniture slides, a rented carpet cleaner, and your vacuum. Use the slides to move the furniture off the carpet and then thoroughly vacuum your carpet. Once the carpet has been vacuumed, use the carpet cleaner to deep clean the carpets. The carpet must dry for at least 8 hours after the carpet cleaning before you move your furniture back. If you move the furniture too soon, you can leave indentations in the carpet or worse if you have metal legs, rust will form on the carpet. Area rugs should be taken outside to be cleaned to help get as much dust off them as possible. Hang them over a clothesline and beat them with a bat or a broom. Make sure to wear a surgical mask when beating the area rugs to prevent breathing in a lot of dust. The best ways to protect your floor is to apply wax or a sealer. This will ensure that your floors stay protected from another year of wear and tear. Your upholstery and mattresses also are huge dust and stain collectors. When cleaning your upholstery buy some drop cloths, a tennis racket, a lint roller, and a dry cleaning sponge. Place the drop cloth outside and put all pillows and cushions on the drop cloth. Use the tennis racket to aggressively beat all the dust out of the cushions. Let them air outside for a few hours. Vacuum the upholstery and then use the lint roller to pick up whatever the vacuum was unable to. Use the dry cleaning sponge over the upholstery to pick up dirt, oil and dead skin cells. If you have a leather couch make sure to get rid of stains with a water based cream cleaner. Deep cleaning a mattress is a little bit harder but can definitely be done. Toss your mattress cover in the washer and put it on the hottest setting allowed per the directions on the mattress cover. Dump a cup of vinegar in to deodorize. Use a sieve to lightly dust the top of the mattress with baking soda. The baking soda will help draw stains and moisture out of the mattress and deodorize it at the same time. Leave the baking soda on the mattress when making the bed, the next time you make the bed vacuum off the excess powder. No one likes to clean the bathroom but the bathroom, according to studies and what sounds like an obvious statement, contains the most bacteria in the whole house. Deep cleaning the bathroom is a necessity for your spring cleaning and in the long run will help keep your bathroom cleaner for longer. One place in your bathroom that never seems to be spotless even after you clean it, is the shower. The soap scum keeps piling up and never seems to come off. Your shower head collects a lot of scum and the best way to get rid of it is to submerge it in white vinegar. Tie a grocery bag of white vinegar to the shower head and leave it over night. Wash both your shower curtain liners in the washing machine with regular detergent and few old towels. The towels help to scrub the soap scum and mildew off the shower curtain. When tackling the inside of the shower, make a paste that consists of white vinegar and baking soda and then apply it to the soap scum areas of the shower. Let is sit for an hour and then wipe off with a micro fiber cloth. The baking soda also works wonders for the toilet bowl as well. Dump some baking soda in the toilet and let is sit for few minutes then brush. Use a brillo pad to get rid of any leftover stains. Grout is porous and is a haven for bacteria growth. The best way to clean the grout is with bleach. Use a small brush and scrub the grout. The way to help prevent the issue is to seal the grout every 6 months. Last but not least, don’t forget the ceiling fan. Flip the circuit breaker then remove the cover. Soak the cover in warm water and dish soap to loosen up any grime. Use a toothbrush to thoroughly get rid of the grime. These tips will help keep your bathroom bacteria free longer through the spring and summer. Spring cleaning is not only great for the home but it is great for the soul. Deep cleaning your home not only gets rid of clutter but also gets rids of any lingering dust and bacteria. The best part of the experience is getting your home ready for the upcoming gorgeous weather that graces the state of Washington during spring and summer months. For those of us who despise cleaning, there is always the option of hiring a local Puyallup cleaning company to come in and deep clean your home. It will cost you but sometimes it is worth it to not have to deal with it yourself. 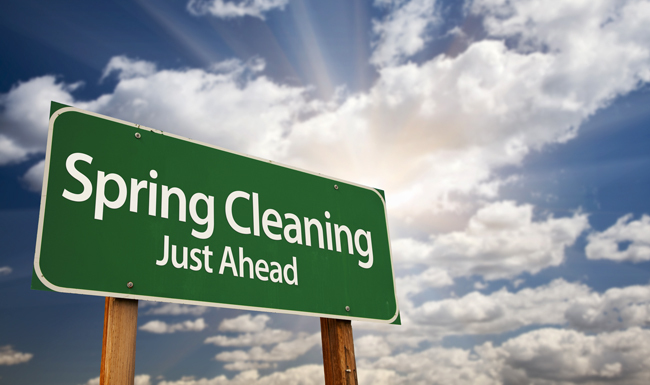 Got any tips for your spring cleaning that you would like to share? Let us know on Twitter at @puyallupcom!